It's Wednesday November 14 1990 and we're stood in a queue outside a tiny venue called Venus at the back of Nottingham's Broadmarsh Centre. It would be pretty insignificant except there's a group of feminists urging people to boycott tonight's gig and indeed, from buying the headline band in question's records. That band are Blur, their ire aroused due to the image of a naked girl posing on the back of a hippo emblazoned eleven times across the cover of their debut single 'She's So High', released a month earlier. A storm in a teacup, but something which followed them around the UK on their inaugural jaunts. Ignoring their pleas, we enter the venue and watch the show, which passes without incident other than support band The Keatons sellotaping a full loaf of sliced bread to their guitarist's face and torso. It's probably fair to say that no one present that evening could have predicted they'd be watching a band who just five years later would be vying for pole position with their arch rivals from Manchester as the biggest in the country. Or indeed, that over decades on their career-spanning anthology would be one of this century's most eagerly anticipated releases. But then Blur never were about being predictable. Although hotly tipped by certain sections of the music press at the time, they found themselves equally derided by a lot of the grass roots, fanzine element, particularly up north and in the midlands. Accused of being bandwagon jumping poseurs, it was a label the band never really shook off throughout the first three years of their existence. Rumours that they'd been rechristened and remarketed by their record label Food, a subsidiary of EMI via their Parlophone offshoot also continued to dog them. And yet they had an abundance of great songs, even if it wasn't cool to admit to being a fan back then. Listen back to the songs that orchestrated their embryonic period. The 12 pieces that comprise debut album Leisure and the 16 b-sides, remixes and fan club-only releases that make up the bonus disc attached to it for the purpose of this reissue, it's clear for to see Blur may have been a tad misunderstood back then. Sure, there are moments where the likes of Tim Burgess and John Squire may have called their publishers for a second opinion or three, such are the similarities between the likes of 'Bad Day', 'I Know' and at least half of The Charlatans' Some Friendly and the latter song's guitar riff mirroring The Stone Roses 'One Love' in almost every conceivable way. But then as the saying goes, talent borrows genius steals, yet for the most part, Blur couldn't really be accused of either. While the three singles off Leisure attained varying degrees of success. 'She's So High', possibly the missing link between the psychedelic haze of shoegaze and baggy's post-rave comedown, may have only hit the modest heights of number 48 on release but follow-up 'There's No Other Way' scored Blur their first top ten hit, providing the band with what remained their signature tune until the hedonistic 'Girls & Boys' arrived some three years later. 'Bang', the third and final single off Leisure could quite easily be filed under the title 'Blur's great lost 45' were it not for 1992's 'Popscene' pipping it to the post nine months on. Again, not a million miles apart from a lot of the indie/dance crossover acts of the day except for its lyrical savvy ("Bang goes another day, where it went I could not say, now I'll have to wait another week") and incessant pop hook, it's become something of a classic over the years, significantly improving with age. It's on the less immediate parts of Leisure that a selection of real hidden gems lie in wait. 'Slow Down' takes the fast/slow/quiet/loud formula employed by Dinosaur Jr (later to be tourmates alongside The Jesus & Mary Chain and My Bloody Valentine in 1992) et al for a Home Counties makeover, its riff re-appearing a couple of years later on Modern Life Is Rubbish-45 'Chemical World'. Meanwhile 'Repetition' is arguably the first composition to bear the hallmarks of Graham Coxon's soon-to-become customary guitar sound. The maudlin 'Birthday' and three-songs-in-one 'Come Together' also pour short shrift over those still dismissive of Blur's first long player, 'Fool' too demonstrating Damon Albarn's knack for being able to write a hefty chorus, even back then. Leisure's real highlight comes at its exact midpoint in the shape of 'Sing'. Perhaps best remembered for its inclusion in the soundtrack to Irvine Welsh's 'Trainspotting' and originally only a b-side on the 'She's So High' twelve-inch, even now those simple piano notes causing hairs to stand upright for the song's entire six-minute duration. Perhaps the biggest criticism of Leisure is it contains a couple of songs too many. Late songs 'High Cool' and 'Wear Me Down', while being plausible attempts at taking the record in different tangents, wouldn't warrant a search party in their absence. Nevertheless, for an album that received such lukewarm praise at the time, it's a fascinating document of a band plotting the initial stages of a journey that would reap dividends in the not too distant future. Of the bonus material hidden away on the second CD, it soon becomes apparent that Blur - and Graham Coxon in particular - were experimenting with new ideas and sounds right from the start. 'Down', again relegated to the CD version of 'She's So High' is a six-minute dirge of noise and confusion that wouldn't have sounded out of place on their self-titled fifth album seven years later. 'Inertia' and 'Mr Briggs', both off 'There's No Other Way' also offer an early insight into which way Blur's heads were directed even during their brief flirtation with baggy. 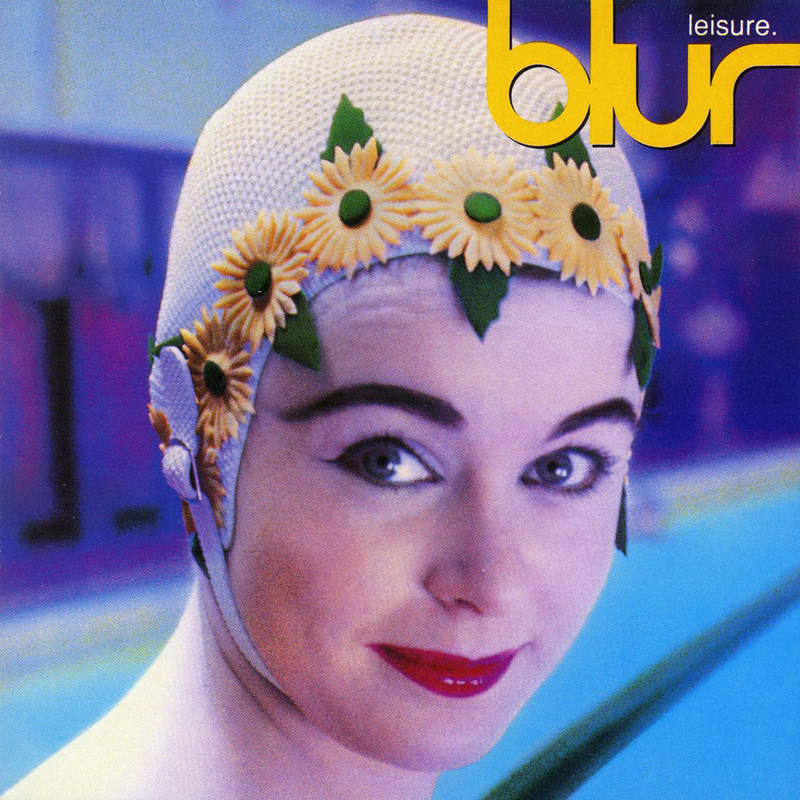 'I'm All Over' from the same EP marks the first occasion Blur referenced the new wave era that would characterise both of Leisure's predecessors. Sure, there's a couple of remixes and extended versions here for 'There's No Other Way' and 'Bang' which don't really enhance the originals while the two songs that make up mega rare fan club single 'I Love Her'/'Close' have a by-numbers feel, despite costing megabucks on eBay to obtain. However, both 'Berserk' and 'Uncle Love' reveal the next stage of Blur's progression in candid fashion, the former in the shape of a near-seven minute spaced out jazz odyssey clearly influenced by Can or Sun Ra, while the latter undoubtedly set the scene for 'Popscene', the record that would bridge the gap between Leisure and its successor Modern Life Is Rubbish. 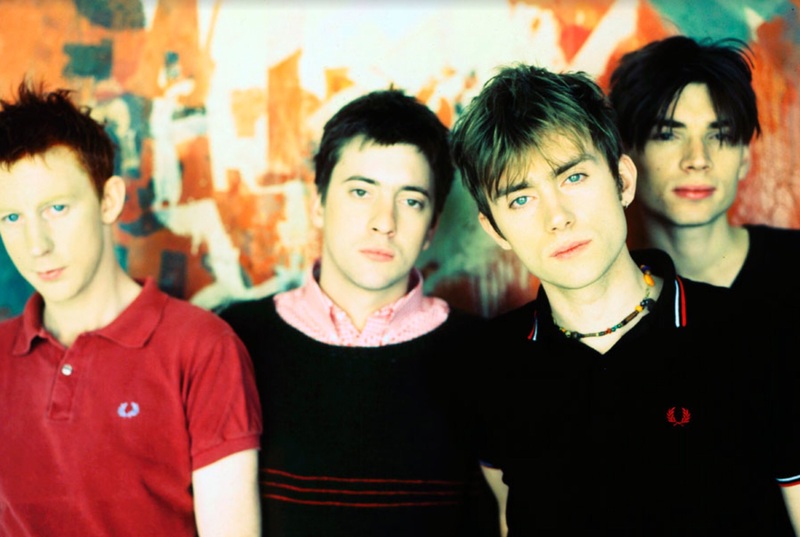 While not perfect, Leisure far outweighs the 'clumsy' and 'unfocused' tags it found itself saddled with upon release, and indeed has actually stood the test of time better than some of Blur's most celebrated works, Parklife included. Now, if only someone could tell me whatever happened to The Keatons..?